Women can benefit greatly from our range of facial skin care courses. Whether you are planning to open a saloon or learn new techniques to improve your personal skincare routine, our facial skincare courses will cater to all your everyday needs. Our facial skincare courses have been designed by experts and include everything you will need to learn to become a pro. We cover the following aspects of skin care in our courses. 1. Our courses start with an introductory class in which we discuss various types of skins and how each skin type is different from the other. We will teach you skin analysis — this way you will be able to better understand your own and someone else’s skin. Not just that, we will introduce you to the essential skincare products which must be used by every women if she wants to keep her skin beautiful and healthy. 2. As we advance into the course, we will study various skin types. A woman’s skincare routine should be based on her skin type. We will tell you about the different products that are suitable for different skins. Not just that, we will also introduce you to various essential procedures like cleansing, toning and exfoliating. During the second part of the course, our experts will teach you some basic tips on how to apply make-up. Since we prefer practical training over theoretical learning, every step will be demonstrated to you by an expert and you will be allowed to practice yourself. The second part of the course will bring you one step closer to becoming a pro. 3. During the last part of our Facial Skincare Courses, the emphasis is on more complex procedures like facials and massages. This part of the course is more technique-oriented. During this part of the course, the emphasis will be on procedures like deep cleansing massages, de-puffing massages, lifting massage etc. You will be taught the right movement of hands and fingers. You will also be taught about the various pressure points on the body. That apart, we will also touch on more recent make-up techniques like contouring and strobing. You will also be given tips on how to do make-up for different skin tones. During the courses, we will also touch upon important areas like skin care techniques used during yesteryears, technological innovations that have made skincare easier today, etc. Throughout the course, learners will be encouraged to ask questions and quench their queries. We can assure you that our skincare facial courses touch upon all the important areas and discuss the more important ones at length. 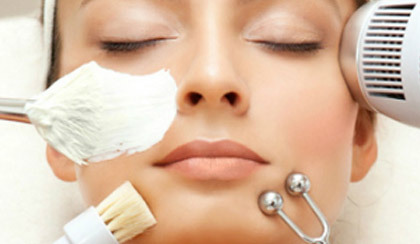 At the end of the course, you will be in a much better position to take care of your skin as well as that of others.